Commonly known as a food paradise to both visitors and locals, Singapore is a small little nation that boasts a wide selection of food. Thus with all these great foods, there are many culinary events that Singapore have annually to showcase its rich food heritage. In this blog post, I will be introducing a few culinary events, among many others, that are held in Singapore. The SFF is a food festival that is held once a year in Singapore, with each edition of it celebrating the diverse flavours of Singapore’s culinary heritage. The signature event of the Festival is called STREAT where cast of local hawkers and chefs serving up well-loved local dishes and even new interpretation of usual dishes. Another event, which is part of the festival, is called The 50 Cents Fest! which was held at Chinatown Food Street. During this event, nostalgia was the main order of the day. Foods such as kok kok mee, iceballs and Hainanese Larp that was common in the past but not anymore was served during this event. It is indeed a festival that both locals and foreigners alike can learn more about Singapore’s heritage and history through food. The World Gourmet Summit is an annual event that focuses on award-winning and premium dining. During this event, visitors can step into celebrated restaurants around Singapore and enjoy special menus that are produced in collaboration between Singaporean chefs and other culinary icons from around the world. Other than tasting good food, there will also be talks by world-renowned chefs and also hands-on cooking workshops where you can learn more about the culinary arts. 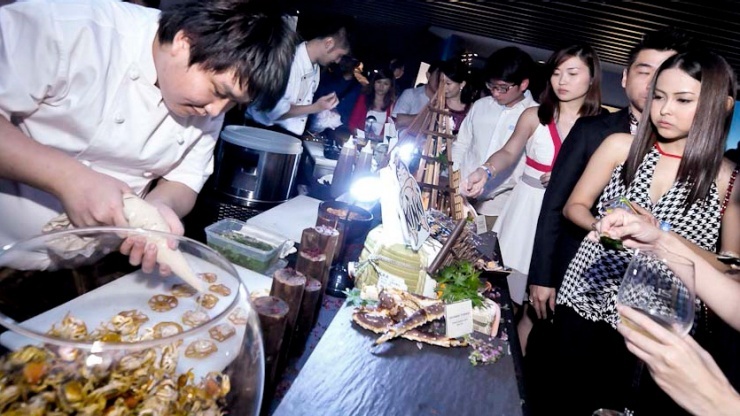 These two culinary events are the main highlights of the annual culinary event calendar every year in Singapore, though there are still many other culinary event that are held in Singapore every year. If you are thinking of making a trip to Singapore it will be useful to plan your itinerary to coincide with these two events for a gastronomic adventure!